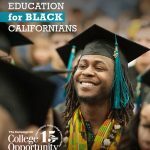 On Friday, June 27th, we held a listening tour stop at Fresno Pacific University, in partnership with the Central Valley Higher Education Consortium. Participants from higher education, K-12, philanthropy, local nonprofits, business, county government—and special guest, Dolores Huerta—joined us for this discussion about higher education in the region with the lowest educational attainment rates in the state: the San Joaquin Valley (see the North San Joaquin Valley higher education profile). The conversation centered on four overarching themes of access, completion, accountability, and affordability. In breakout group discussions, participants were asked to rank the bold reforms presented in each category, and then to vote for their top four reforms overall so that The Campaign could get a sense of the priorities outlined by community leaders in Fresno and other areas of the San Joaquin Valley. Below are some of the top level priorities that rose to the surface based upon group voting. Expand eligibility through A-G completion and expand capacity. Both of these reforms rose to the top in terms of the discussion on access, but also among all of the reforms discussed throughout the day. The first step to raising the educational attainment of the region is to make sure that students are accessing higher education, participants shared. Focus on equity. In some breakout group discussions, a greater focus on equity in terms of environment and zip code was favored rather than a focus on preparation, enrollment, and completion targets by race/ethnicity. Participants affirmed that key to the success of such a reform would be to ensure that there is a strong commitment to provide supports and other resources to students. 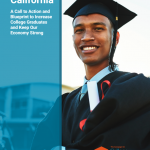 Accelerate college readiness. Interestingly, the top four reforms of the day were concentrated among access (expanding eligibility and capacity) and completion (focus on equity and accelerating college readiness). While participants acknowledged that there was good work happening in redesigning the delivery of basic skills, there was greater conversation around assessing and placing students in proper pathways and in greater coordination between K-12 and higher education so that the need for remediation is reduced. Participants indicated that getting this work accomplished was more a matter of willfulness than resources because the infrastructure is already there. Fund for enrollment and completion. Leaders in the region understand that some new funding model is likely in the future for higher education, particularly for community colleges, and are not opposed to the idea. They see it as a potential tool for improving completion, rather than a hammer to punish colleges and universities. Empower regions. This reform also stood out during this conversation. 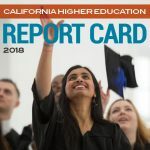 This could be due to the coordination work of the Central Valley Higher Education Consortium, which has allowed the region to model reforms that will eventually be taken statewide, such as common assessment and priority enrollment. 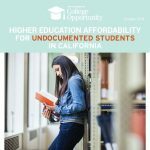 Improve financial aid access. Conversation around this reform was not focused as much on ensuring that students complete the FAFSA, as participants felt that the region already does this very well. Instead, participants expressed concern about the students who had financial need, but were unable to access aid such as middle-income students and young, independent students who, for whatever reason, have left home but still have to apply as a dependent of their parents. 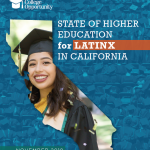 Thank you to the Central Valley Higher Education Consortium for their partnership in this listening tour stop and to all of our enthusiastic participants that day!